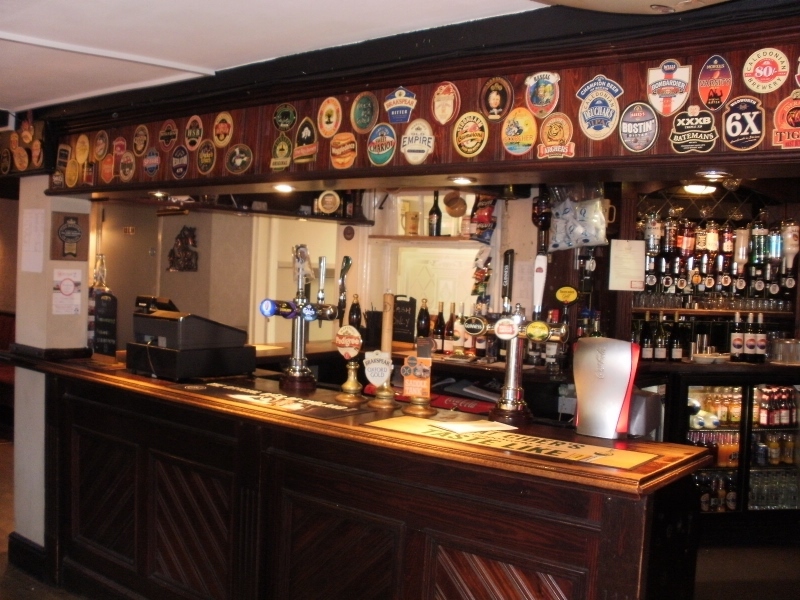 The George & Dragon pub sits proudly on the main road running through the village of Alrewas in Staffordshire, just as it has done for the best part of the last three centuries. Much has undoubtedly changed in Alrewas, which lies near to the city of Lichfield, over the passing years and decades, but this traditional red brick built public house would appear to have stayed pretty much the same. The George & Dragon, which comes under the Marston's brewery, was apparently closed for a time during 2016, but now seems to be fully up and running. Unfortunately there was no food available on the day that we arrived after the previous chef left and had not yet been replaced, so after an enjoyable pint in the rear beer garden - it was a beautiful sunny day and the hottest of the year so far - it was over the road to the local fish and chip shop for a bite to eat. 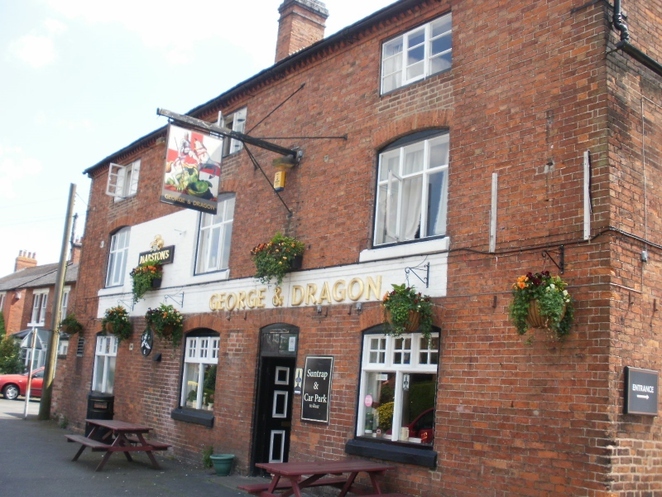 The three-storey George & Dragon, which was voted Marston's Community Pub of the Year in 2010, is a Grade II listed building due to its historical connections. 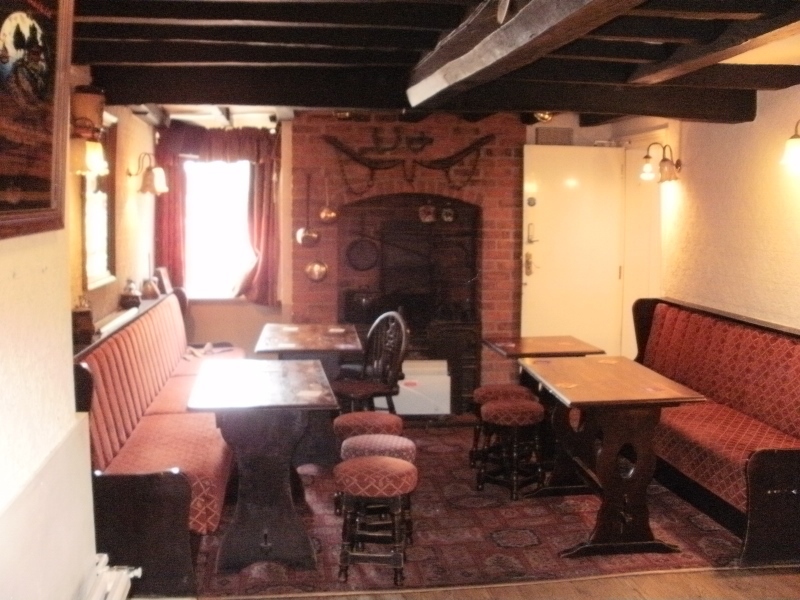 It is thought to be a former coaching inn which dates back to around the mid to late 18th century. Evidence of this can be found in the wooden beams which can still be seen inside the pub, presumably going back to the 1700s, although there are also later additions to the building. There is certainly a comfortable and cosy feel inside, with the main bar area divided into three distinct and separate sections. 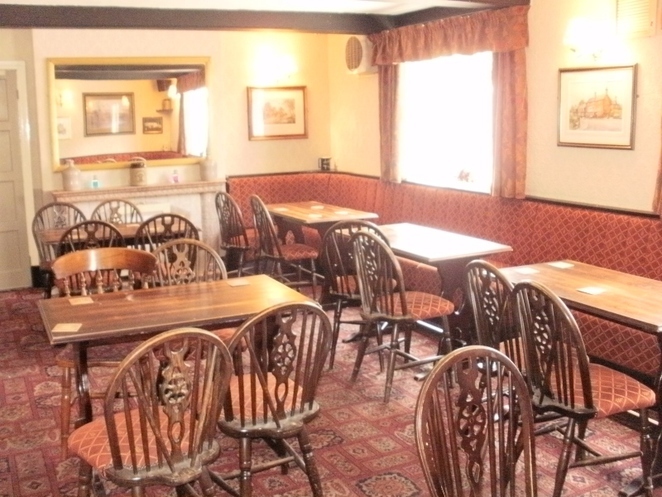 The main drinking area seems to be the small room on the right as you enter the pub through the main front door, while the other equally cosy rooms are probably set aside for diners - once a new chef has been appointed to put together a menu. The previously mentioned wooden beams are complemented by open fires and nooks and crannies which all add to the very traditional feel. Towards the rear of the pub, leading out onto the beer garden and main car park, is a separate room kitted out with a pool table and dart board. The rear garden certainly lived up to its 'sun trap' billing on the day we visited, but there is also a small seating area on the front of the pub beside the main street running through the village, which has the Trent and Mersey Canal running through it and is just a mile or so from the renowned National Memorial Arboretum. Being a Marston's pub, the George & Dragon was serving its own Marston's Pedigree and a pale ale called Saddle Tank, which worked out at £3.40 a pint. There was also a guest beer on offer, namely Brakspear's Oxford Gold.